Can Bessol is situated on the outskirts of the village of S'horta, between the serrated coast and the hills of "La serra de Llevant". The name of the village is intimately related to many of the families living there, working as they do, with the cultivating of the land. Can Bessol is a typical example of these small-holdings. Very near to us are the beaches of Cala Brafia, Cala Sanau and Cala Mitjana, none of which has been absorbed by the tourist zones of this coastal region. 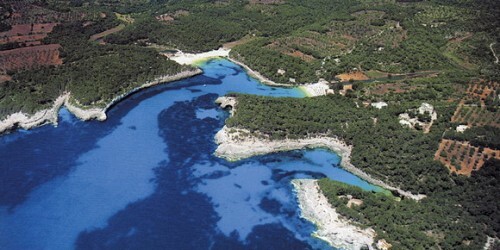 The nearest resort are Portocolom and Cala d'Or. 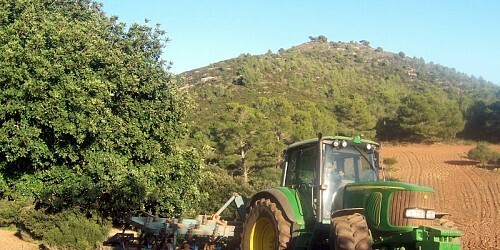 We are protected from the Northern wind by "La serra de Llevant", a range of hills which are crownd by the medieval castle of Santueri and the monestry of Sant Salvador. 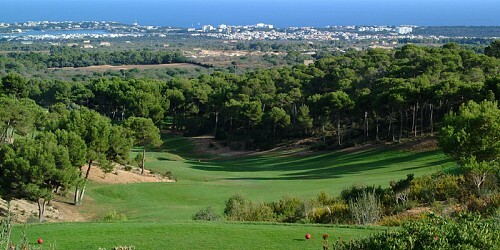 From Can Bessol you can make interesting excursions, coastal as well as inland. 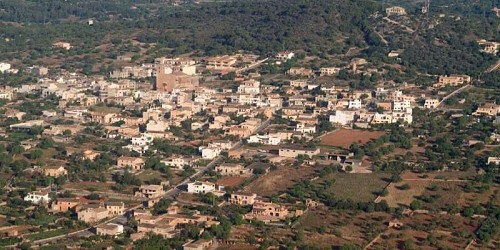 In addition to the tranquillity of Can Bessol which you can enjoy throughout the year, you are welcome to participate in all the local "fiestas" and there are also weekly markets in Felanitx and Santanyí, restaurants offering Mallorquin menus and three minutes from Can Bessol there is a good Golf course. Our winter and spring landscape is famous for its almond blossom, verdant fields and wild flowers. The summer scene needs no introduction it is well-known.